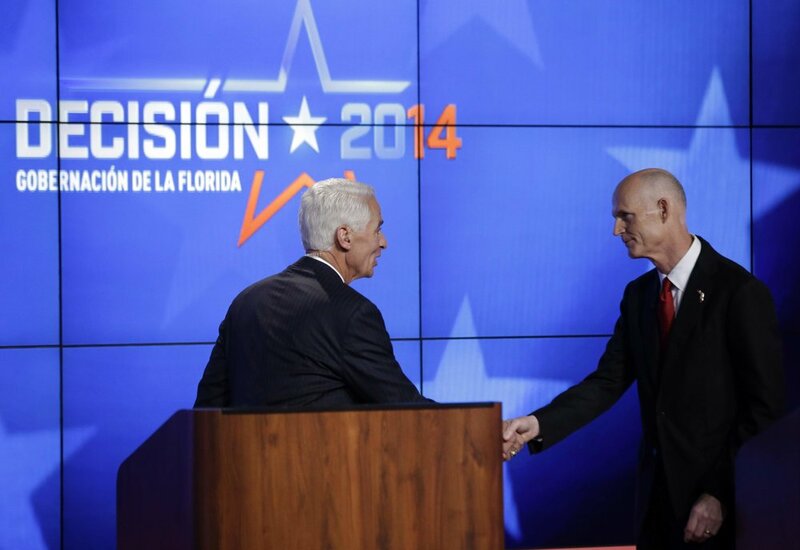 Last Wednesday, Florida Governor Rick Scott made national news when he refused to walk on stage in a debate against his opponent Charlie Crist because of a small fan Crist kept underneath his podium. The incident once again made Scott and the state of Florida a national laughingstock. However, rather than letting the controversy get the best of him in tonight’s debate, Governor Scott has decided to one up Charlie Crist by keeping a smallish human fan under his podium. Rick Scott has spent the days following the #fangate controversy auditioning hundreds of thousands of people who liked his recent cartoon fan meme on Facebook, to be his “#1 fan”. He’s offering one lucky winner the chance to go with him to the debate and sit under his podium in the “crisscross applesauce” position (NOT Indian style, as realistically speaking, the fan has absolutely no chance of being anything except Caucasian). Governor Scott is confident that this debate will be just what he needs to take his campaign back in the right direction. Charlie Crist couldn’t decide whether or not he was available for comment, but eventually just went with the more liberal option and said he’s up for whatever, because that’ll probably get more votes.